Are you ready for retro gaming? NeuroVoider is a kind of RPG shooter with two sticks with isometric view, generation of random levels and with an undeniable retro dye. The proposal is original, at least. However, Flying Oak Games, the developers of the game, seems to have been inspired by the popular Gauntlet, but in NeuroVoider replace enemy nests by cores and dungeons by laboratories, and technological environments. Heroes and enemies will not be medieval warriors or wizards, but robots armed with two potentially harmful weapons. 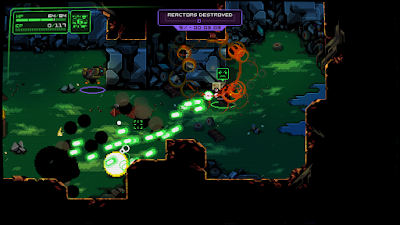 The roguelike genre usually have a considerable duration, and NeuroVoider is not the exception. The time it takes to complete the game, is very variable, depending on the ability of each person, but keep in mind that it will take well over five hours to finish all the levels. Of course, it is quite replayable and it would not be extreme to have more than one give several laps. More than anything because the game brings several challenges in the form of achievements. The most skilled can test their nerves of steel to get the game in less than an hour, pass it twice consecutively, finish without repairing your robot or in the most difficult of all. This help the life of the game enormously, but also the daily challenges. Each day you can play a daily mission and if you can, do the best possible time. This is reflected in the general leaderboard, in which the most competitive players will top the list. As good a roguelike as it is, NeuroVoider presents a infinite amount of random levels, which permanent death is a constant. 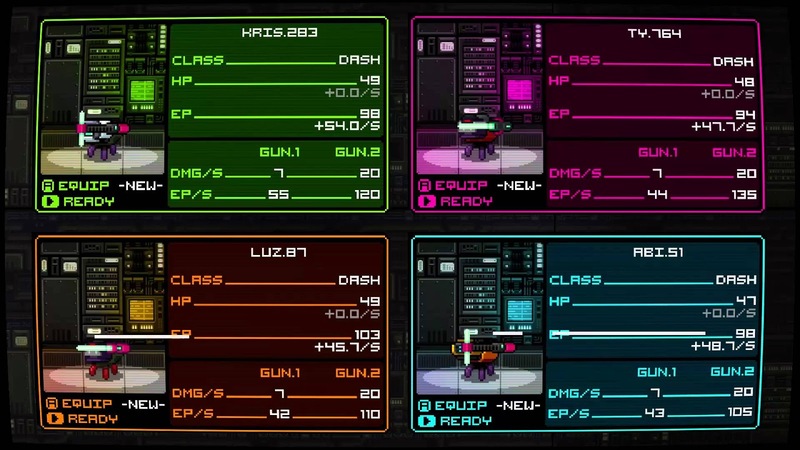 In each attempt we will advance a little more and collect boosters, improvements, equipment and more powerful weapons. You will always have a primary weapon and a secondary weapon, interchangeable whenever you want from the equipment menu. 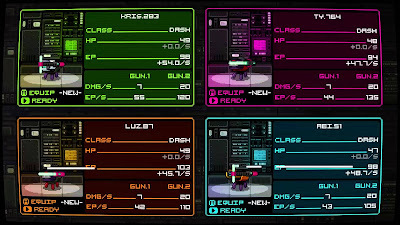 It is curious that health is also maintained from another phase, but also restore a robot, also from the menu. With LB you can also activate a special ability, selectable at the beginning, each with its own peculiarity, but ability is not unlimited, and will be filled as you advance and annihilate enemies, which is wise to ration it wisely and reserve it for some of the constant moments of trouble that you will have in all the game. NeuroVoider is built with sharp pixels, and its appearance, therefore, is totally retro to the point that if you taught someone a screenshot and you tell it is a game of the Mega Drive, it will sting the hook quickly. Focusing on the positive side, the studio has been able to give the graphics a more colorful and modern lighting, but within its limitations, of course. The models of enemies and controllable characters are very varied. Obviously, the similarity that exists between many of them, it´s necessary to emphasize that at least, it´s not a monotonous game in that point. NeuroVoider is the latest addition to the roguelike genre of our console. Improve your character as you advance through levels that are randomly generated. Don´t skimp on bullets and shoot anything that moves. Of course, the difficulty is quite high, so be prepared for all. Is a pity that its playable depth doesn´t live up to its visual section, which is compensated with a sublime soundtrack and the possibility of playing with up to four friend in couch. Without doubt, having had an online cooperative would have gained a lot of players.